It's Labor Day, so in honor of almost everyone getting the day off we're doing a TMS in honor of my favorite Ferrari GT. That's right, we've only got three gears and at least one of them is about GM so it might as well be the 400i Automatic, which comes with a GM three-speed Turbo-Hydramatic transmission. If projections hold up, Chevy will follow up its 4.95-million car 2012 with more than five million cars in 2013, reports Automotive News from a collection of wire reports. It's also worth noting, via Tom Walsh, that GM is also leading (amongst the Big Three) in the leasing market. 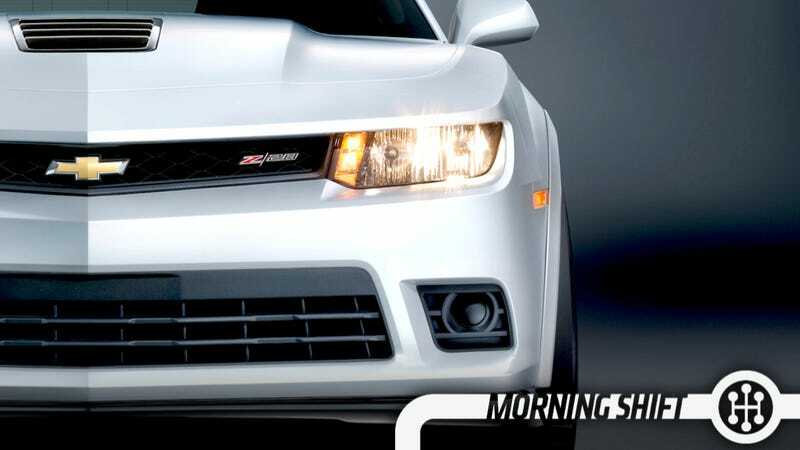 In an analysis done for the Free Press, covering the years 2008-13, ALG said the average residual value of GM products gained 13% — moving from 41.8% to 47.3% — while longtime industry leaders Honda and Toyota saw residuals rise only 4% and 5%, respectively, over the same period. Higher trade-in values means more attractive lease payments means return customers. Auto News also reports this morning that the Germans are coming back strong with diesels. Remember that drive that Patrick went on? The article points out that while German automakers (fairly) feel that diesels are penalized in the U.S., makers of hybrids (fairly) think that their vehicles are penalized in Europe. Once again: Globally-aligned car standards would be great. 3rd Gear: Who The Hell Is Buying The NISMO Juke? Today's weird news is that the Juke NISMO has sold 3,700 units (globally). That's not a dig. I like the way it looks and the power bump to nearly 200 horses is welcome in such a small car. But really? It's almost $23k. Worth noting that the Z NISMO now accounts for 15-30% of sales, depending on the market. Oh, and the 2014 GT-R NISMO is going to be awesome apparently according to the press release. On September 2, 1959, at a news conference broadcast to viewers in 21 cities on closed-circuit television, Henry Ford II introduces his company's newest car—the 90-horsepower, 30 miles-per-gallon Falcon. The Falcon, dubbed "the small car with the big car feel," was an overnight success. It went on sale that October 8 and by October 9, dealers had snapped up every one of the 97,000 cars in the first production run. Neutral: Any News I Missed? Slow morning, tell me what I missed.